Fifteen high school upperclassmen and recent graduates from around Alaska are participating in Anchorage Nurse Camp at University of Alaska Anchorage this week. The program is hosted by RRANN, Recruitment & Retention of Alaska Natives into Nursing, a part of UAA's school of nursing. 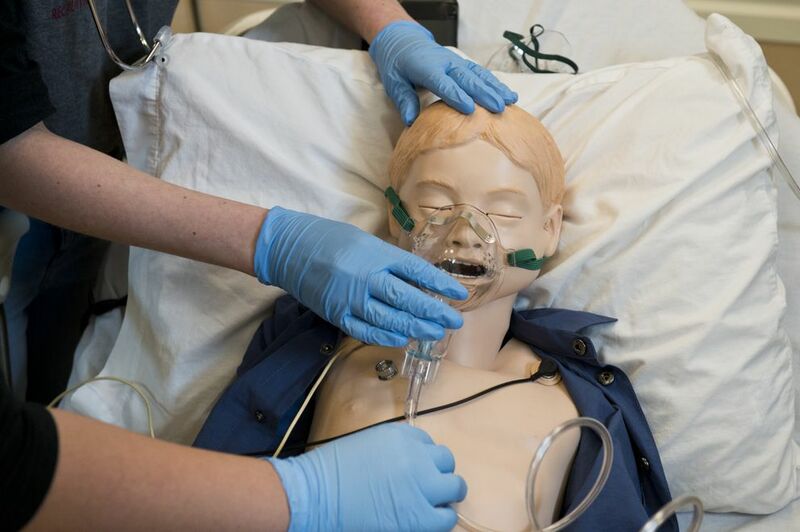 Students are learning some hands-on skills, such as giving injections, dressing wounds, checking vital signs and doing other simulated treatment on dummies. "We are in a shortage, and we need culturally competent nurses to provide good care," Rearden said. 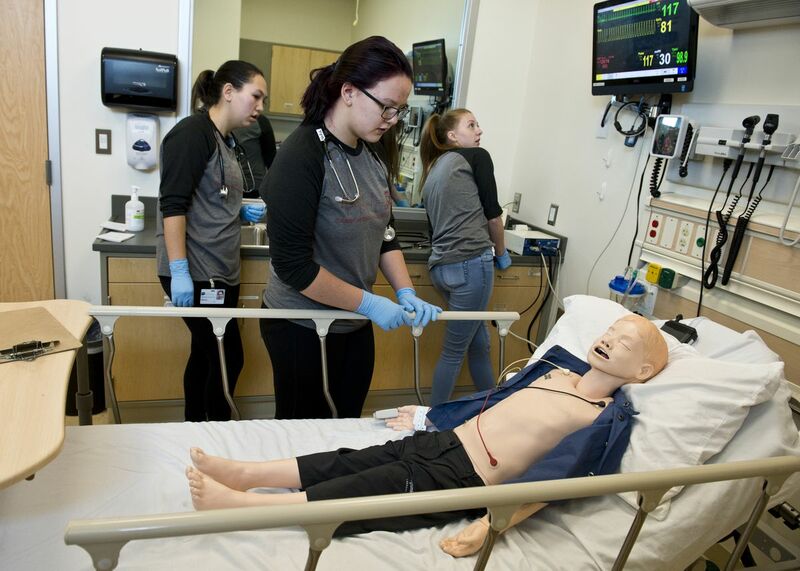 Kelly O'Brien, who recently completed her junior year at Bethel Regional High School, and Tina Conwell, of Kotzebue, were two students who tended to a dummy patient Wednesday morning in the Interprofessional Health Sciences Simulation Center. They were tackling a hypothetical situation involving a hypothermic child who had been lost in the woods. "There's a lot of information that we've had to take in, but it hasn't really been stressful," O'Brien said afterward. "It's a lot of fun." Conwell said it was exciting to be part of the process, but nerve-wracking. "It was like he was a real person and we're supposed to treat him like a real person, and that made me nervous," Conwell said. 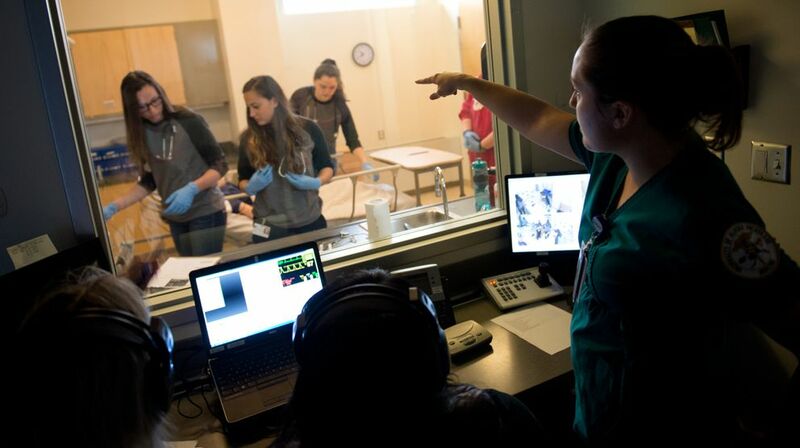 Rearden said Alaska Native and American Indian nurses are far underrepresented in the profession, compared to the demographic makeup of the state. She hopes the camp will be one way to increase that percentage. "We feel strongly that in the RRANN program, obviously, that if we can have that, then our communities will be healthier, our patients will be healthier and the families will be healthier," Rearden said.